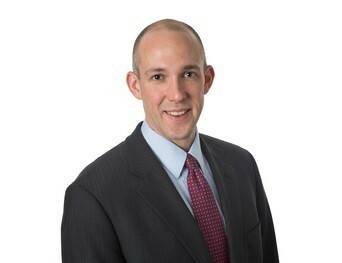 Matthew Organ is a principal in the firm's Litigation and Labor & Employment Groups. He has significant experience representing plaintiffs in qui tam/whistleblower cases under the federal and state False Claims Acts. Mr. Organ has handled matters involving off-label marketing, upcoding, illegal kickbacks and referral arrangements, false certifications of compliance with Medicare/Medicaid regulations and other Medicare/Medicaid fraud, as well as Federal Acquisition Regulation violations and defense contractor fraud. As a result of his extensive experience representing plaintiffs in qui tam matters, he is well-equipped to maneuver the unique legal issues and complexities that these matters involve. Mr. Organ also has experience litigating employment disputes, including claims of discrimination based on race, national origin, and age. Mr. Organ's practice also involves general commercial litigation, including cases involving contract disputes, and commercial torts. Mr. Organ has been actively involved in pro bono matters, including the successful appeal of a criminal drug conviction, the favorable settlement of a prison abuse case and a favorable decision to reinstate disability benefits in an administrative appeal. Mr. Organ is admitted to practice in Illinois, Wisconsin, the U.S. District Court, Northern District of Illinois, and the Seventh Circuit Court of Appeals. While receiving his law degree from the University of Wisconsin in 2002, Mr. Organ was elected to the Order of the Coif. He earned his B.S. in industrial and labor relations from Cornell University in 1997.